The 670G John Deere grader offers a high torque engine, smooth operation, affordable running costs and ease of use. 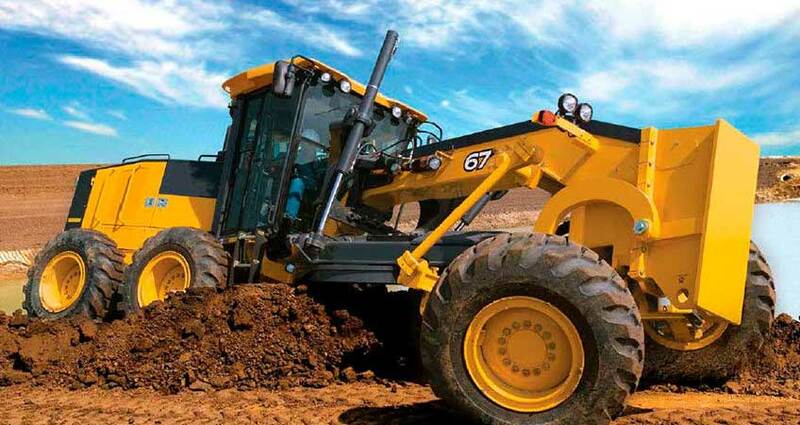 In today’s flourishing building and construction industry, graders are one of the most important machines in any fleet, bearing the brunt of heavy loads, and working tirelessly across jobs. There are many manufacturers that work hard to develop motor graders that are powerful, practical and promise a long life. For this reason, there is no shortage of graders on the market, and when it comes time to purchase your next piece of equipment, it is important to do your research so that you get the right machine for you and your business. As you might already know, John Deere has a reputation for producing quality graders that boast high torque engines, smooth operations, affordable running and ease of use. The John Deere grader 670G follows in this tradition. So, while you are comparing this machine with other products on the market you might be asking yourself, how you can tell if the John Deere 670G grader is the right choice for you? Whether you have had a John Deere motor grader previously or are thinking about trying out the brand for the first time, we have put together a comprehensive review of the 670G grader. Here, we summarise the key features, to help you determine whether the 670G John Deere grader is well suited to your needs. 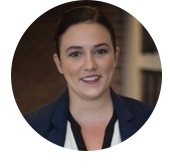 First and foremost when looking at a grader, it is important to decide if it is matched to your jobs and industry. Whether you are working on your home property, small sites or major projects, the 670G grader has been put through its paces, and you can safely assume that the machine is up to even the most difficult of tasks. The 670G grader will offer its users ease of operation and comfort, priding itself on enhanced performance, more operations and a lower cost. All in all, the 670G John Deere motor grader is sure to meet consumer expectations, with a range of handy and practical features on board. 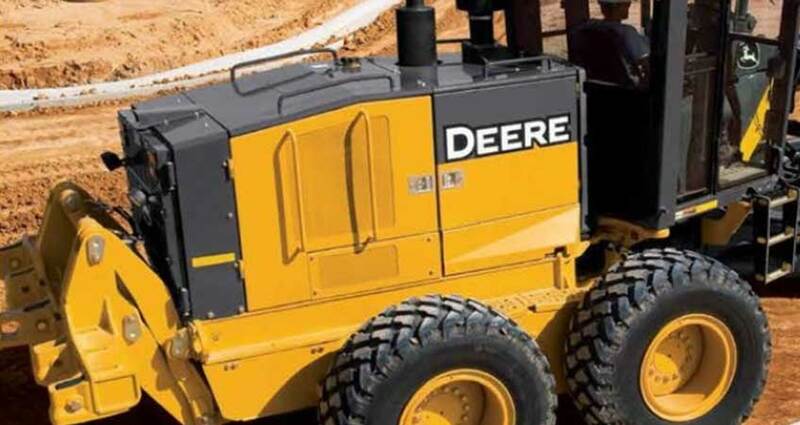 John Deere know that time is valuable on every job site. All of their graders, including the 670G, are fitted with fully functional durability enhancers that promise years and years of use without malfunction. 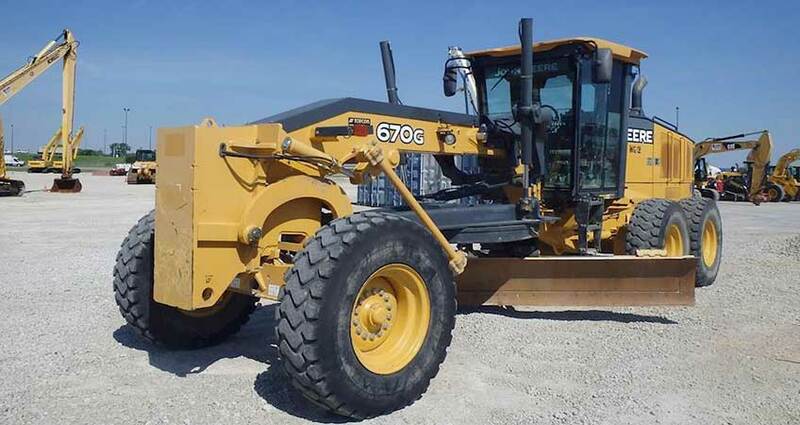 In addition, the John Deere 670G is improved by bigger axle shafts, hydraulic cylinders, front axles, differential locks, and joint roller bearings, to list just a few of the features that make this machine run quickly and smoothly. If you are tired of machines letting you down mid-job or slowing your crew, these top of the line components matched with solid-state electronics will give you a machine you can trust. The 670G John Deere grader is not only cost effective at the outset, but it is fitted out with features that keep operational costs low over the life of the machine. Quick change filters, gauges that are easily within sight, cores that are easy to reach and clean, and a full suite of hardware that can easily be switched out and replaced individually if needed, this machine is made with ease of maintenance and durability in mind. You can differentiate between the best and worst products on the market simply by looking at the solidness of the build. 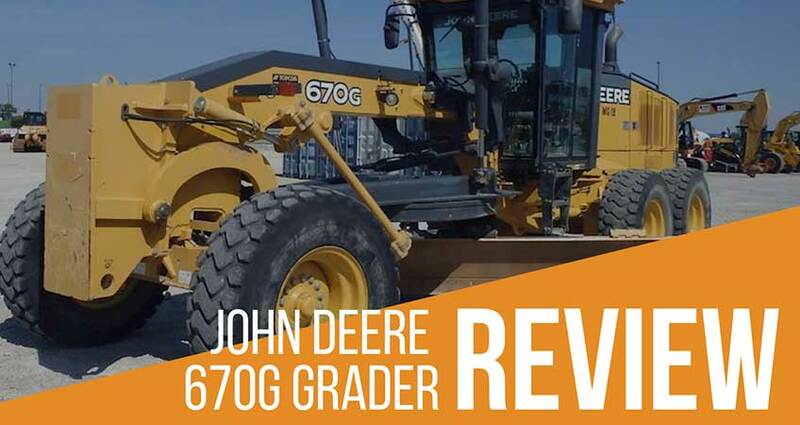 The John Deere grader 670G doesn’t skimp when it comes to materials. It comes standard with a high strength draft frame that can endure high impact loads. Not to mention, this John Deere grader has a blade impact system which adds an extra layer of protection against structural damages in case of accidents or obstructions. When operating this machine, you can feel that it is a sturdy workhorse up to most jobs. The blades are also pre-stressed to ensure lasting durability and high strength when put under pressure. Another way that the John Deere motor grader saves you money is via its efficient fuel system. It is equipped with a tier 2-certified fuel efficient nine-litre engine, that boasts the ability to deliver high power and torque without the need to guzzle fuel. Other smart features include variable speed hydraulic fans that only switch on when necessary, meaning less fuel consumption, less noise and less wear and tear. The John Deere grader 670G auto-idle automatically reduces the engine speed at user determined intervals which is another great fuel saving feature. The savings on fuel alone compared with some other competitor machines is a serious factor to consider when purchasing. It’s all well and good to have the most powerful machine on the market, but if it doesn’t handle well, then it becomes more of a burden than a benefit. The 670G John Deere grader comes with a steering system that automatically adjusts its speed outside the front type, at the same time boosting pull and giving the user the power to achieve full, clean and powerful turns. The front wheels are in good synchronicity with the rear tandems, engaging with ease and allowing for a cool, calm and controlled ride throughout. The 670G John Deere motor grader is really a joy to manoeuvre. If you are looking for a John Deere motor grader that offers performance, practicality and affordability, then look no further than the 670G grader. 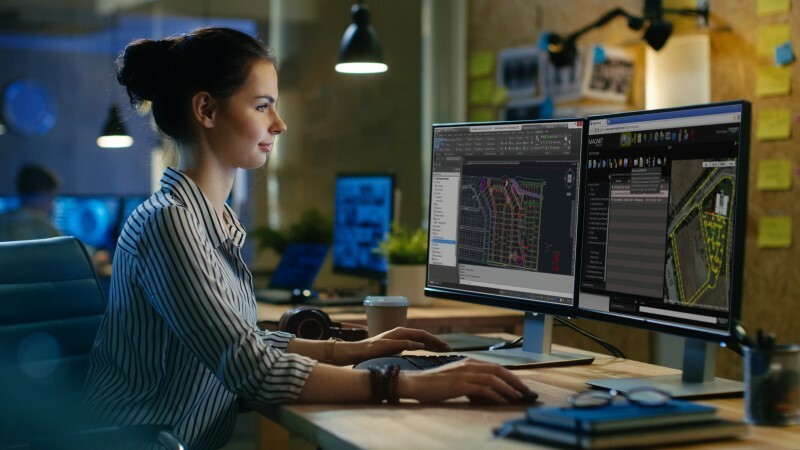 It will not only help you to achieve time and cost savings, but it will overall enhance the productivity of your operations with its vast array of features. Its reliability and dynamism will help you speed up your jobs, without sacrificing quality. With all this in mind, the John Deere 670G is certainly not the cheapest machine on the market and might not be suitable to every budget. That being said, with the 670G John Deere grader, you certainly get what you pay for: a premium motor grader with premium features. Of course, budget is a deciding factor; so, keep this in mind when deciding if this machine is the perfect fit for you, and if not, you can always take a look at some lower priced options. If you do decide to snag yourself a John Deere 670G, your investment will be rewarded. 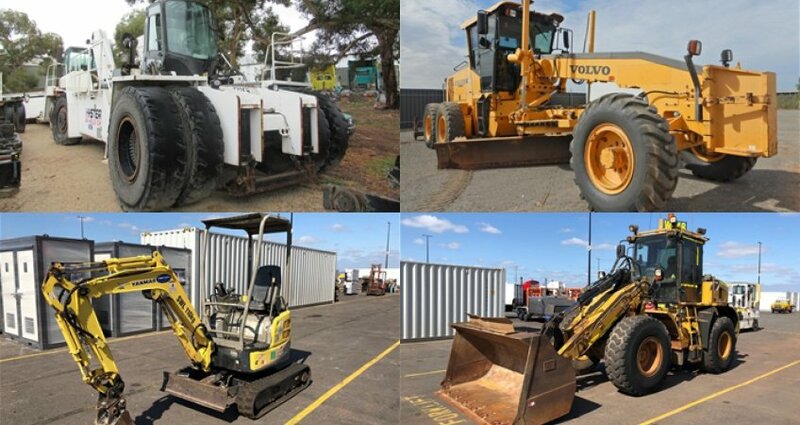 If you’d like to hire before you buy – iSeekplant has thousands of grader hire suppliers across Australia. 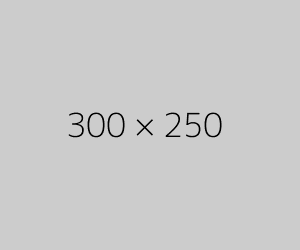 You can do a fast grader hire search here. Overall length (ft/in): 29' 2"
Width over tires (ft/in): 8' 2"
Height to top of cab (ft/in): 10' 5"
Max blade side shift, right/left (in): 26.9" / 26.9"
Shoulder reach, frame straight, right/left (ft/in): 6' 10" / 6' 10"
Min turn radius (ft/in): 23' 8"